Even if the appliance is new, it’s important to get a preventative maintenance contract. With HVAC contractors in such high demand, there seem to be many to choose from. When it comes to outfitting your home or business with air conditioning, finding the right HVAC contractor for the job can be a daunting task! How do you know which contractor is right for you, and how can you tell who is going to make the best partner to your business? A little research goes a long way, and luckily, we’ve compiled some of the top mistakes to avoid when searching for an HVAC contractor. When it comes to finding the right HVAC contractor, it’s crucial that you do your research. Potential contractors may go to great lengths to sell themselves, but it’s up to you to obtain references to find out what other consumers really have to say. Following up with others who have dealt with an HVAC company will give you a better idea of whether they are the right fit for you. It’s always a good idea to get a few opinions when you have any issue. In terms of HVAC contractors, getting the perspective (and quotes) of a few different companies will give you a better idea of your issue and help prevent you from being overcharged or upsold. Even if the appliance is new, it’s important to get a preventative maintenance contract. 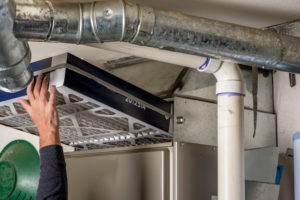 Your HVAC system is an investment, and making sure that it’s properly maintained will prolong its life, help it to run at its most efficient, and ensure your budget was well-spent. This will help you avoid issues with your HVAC system down the line. Cheapest is not always best, and this goes for HVAC contractors as well. The “race to the bottom” is real in such a competitive market, and it’s more important to consider what potential HVAC contractors are offering, rather than simply how much they are offering it for. This entry was posted on Friday, December 7th, 2018 at 4:32 pm. Both comments and pings are currently closed.